Janice Y. K. Lee’s New York Times bestselling debut, The Piano Teacher, was called “immensely satisfying” by People, “intensely readable” by O, The Oprah Magazine, and “a rare and exquisite story” by Elizabeth Gilbert. Now, in her long-awaited new novel, Lee explores with devastating poignancy the emotions, identities, and relationships of three very different American women living in the same small expat community in Hong Kong. Mercy, a young Korean American and recent Columbia graduate, is adrift, undone by a terrible incident in her recent past. Hilary, a wealthy housewife, is haunted by her struggle to have a child, something she believes could save her foundering marriage. Meanwhile, Margaret, once a happily married mother of three, questions her maternal identity in the wake of a shattering loss. As each woman struggles with her own demons, their lives collide in ways that have irreversible consequences for them all. 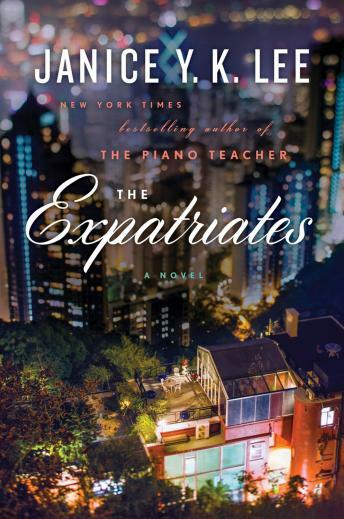 Atmospheric, moving, and utterly compelling, The Expatriates confirms Lee as an exceptional talent and one of our keenest observers of women’s inner lives. This book was definitely one of the most entertaining I've read lately! I found it difficult to pull myself away from it and was dying to know what was going to happen next. That being said-if you are a mother (as I am) this is a tough story. I highly recommend it but my next book will have to be a little lighter while I have a chance to recover emotionally! The overall story was good. It moved a little too slowly for me.